I hope everybody had a sugary-fantastic Halloween and I want to thank everyone who entered the One Lonely Degree advance reader copy contest! 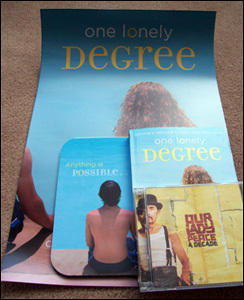 Denise wins the One Lonely Degree prize pack, which includes: a signed advance reader copy of One Lonely Degree, a 12"x18" 1LD poster, a 1LD mousepad and the 2006 greatest hits CD ("A Decade") of main character Finn's favourite band, Our Lady Peace. Congrats, Denise! I'll be emailing you for a mailing address later today. 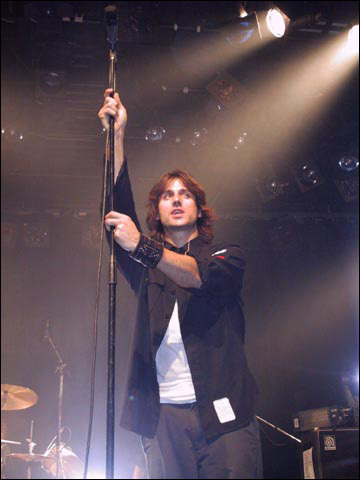 * The contest question was: Finn considers this guy, “the most beautiful of all the Beautiful Boys and that's not just a physical thing.” Who is the lead singer of Our Lady Peace? Commons Attribution ShareAlike 2.5 License.